“The past becomes beautiful only when we look at it with our present eyes”. —Abbas al-Aqqad, was an Egyptian writer and poet. He was born in 1889 in Aswan and died in 1964 in Cairo. Egypt’s southernmost city, full of charm and wonderful monuments. In the eyes of many, Aswan is Egypt at its most exotic. Aswan has been a favourite winter resort since Egypt’s classic era of travel. Here the Nile is at its most beautiful, flowing through amber desert and granite rocks, lush and exotic islands, an idyllic setting to unwind at the end of an Egyptian journey. Aswan is home to the outstanding Nubia Museum and the splendid archaeological sites of Philae and Kalabsha, near the High Dam. Aswan invites you to dream and relax, with its charming African atmosphere and its slow and relaxed way of life. Ramesses II littered the country with masterpieces and monuments during his sixty-seven-year reign over ancient Egypt. The Great Temple of Ramesses II and the smaller temple dedicated to his legendary wife Nefertari are a testament to the glory and power of the ancient Egyptians. Both temples face east to receive the rays of the rising sun. In 1968, both were dismantled and relocated to higher ground when threatened by rising waters due to the building of the High Dam. They are now a wonder of modern as well as ancient engineering. a tailor-made travel plan for you. A must-see in Aswan is the romantic island temple of Isis at Philae. For a sense of adventure, head to the lesser known temple of Kalabsha. Take the staircase to the roof where you will have stunning views of the whole temple complex and what lies beyond. Both temples were part of the UNESCO rescue campaign of twenty-two monuments in ancient Nubia. Finally, pay a brief visit on the return journey to the High Dam and the ancient quarry that still holds a gigantic unfinished obelisk. Taking a traditional felucca out on the Nile is one of the pleasures of Aswan – the river is dramatically beautiful here. Explore the evocative ruins of Aswan’s first settlement, on the tip of the Elephantine Island, known to the ancient Egyptians as Yebu. From here it’s a quick sail to Kitchener’s Island, home to the exotic Aswan Botanical Garden. After a walking tour into one of the many colourful Nubian villages, you will be treated to a freshly-prepared lunch on board. A camel trek to the Monastery of St Simeon, beautifully located on the edge of the desert, is also possible. Ramesses II littered the country with masterpieces and monuments; the most fabulous of them all are at Abu Simbel. The world-famous temples of Ramesses II and Queen Nefertari lie 280 km south of Aswan and can be reached by plane or by road from Aswan. You can also have a look at our private Aswan Day Tours. Abu Simbel. How to get there? by air or with an overnight stay. The world-famous temples of Ramesses II and Queen Nefertari lie 280 km south of Aswan, overlooking Lake Nasser. Four colossal statues of Ramesses II dominate the façade of his great rock-cut temple, the most famous and ambitious of his architectural wonders. The nearby Temple of Hathor was also built by Ramesses II in honour of his great wife and favourite Queen Nefertari. There are two ways to get to Abu Simbel. You can drive the three hours there and back or take a short flight. If you want to have more than 2 hours to see the temples, the best option is an overnight trip to Abu Simbel. You can stay in a simple but elegant Nubian hotel. Take the second convey from Aswan to Abu Simbel and you will have the temples to yourselves. 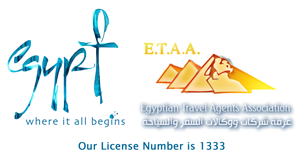 All tourists that came by road or air have already returned to Aswan. Great advantage: in the morning there is time for a second visit. And you can watch the sunrise light the temple facade. Magical! Aswan’s accommodation scene isn’t overly impressive. There are a couple of luxury hotels and if you’re willing to indulge, you can treat yourself to the legendary Old Cataract, which is literally fit for royalty. There are a fair few mid-range options; most of them are located in the centre of town. For more tranquil experience, try the charming guesthouses in the Nubian villages. We have listed below just a few of our favourite places to stay in Aswan. Jutting out of the spectacular Nile shoreline overlooking Elephantine Island sits a Legend, a sympathetically restored and highly luxurious 19th-century royal palace. Combining rich architectural and historical heritage with luxury and comfort, this hotel evokes the splendour of past times. Staying here is an experience in itself. The Old Cataract offers guests two different experiences in a wide choice of accommodation, all recently updated with modern luxuries and technology. The charming historical Palace has 76 rooms and suites of different sizes and character, ranging from superior rooms to luxury rooms and the Winston Churchill and Agatha Christie suites. The stylish contemporary Nile Wing offers 62 lavishly designed rooms and suites, all with Nile-facing balconies. There is an imaginative range of different cuisines for you to experience, including the famous 1902 Restaurant. For ultimate relaxation, the So Spa offers a range of therapies, 3-room hammam and indoor pool. There is also an outdoor swimming pool, set in the gardens looking out over the Nile. Then, come sunset, sip a gin and tonic on the Legendary Elephantine terrace, the perfect place to enjoy spectacular Nile views, a classic Egypt travel apogee. Lastly, The Old Cataract is an iconic hotel; come and experience your slice of heaven. On the Nile, near the city centre, 15 km from Aswan Airport. In an idyllic setting on a small island in the middle of the Nile, the Mövenpick with its beautiful gardens is a regal oasis of genteel calm that deserves every point of its five stars. A makeover two years ago turned it into a relaxing resort-style hotel, combining the best of luxury and leisure with friendly, well-trained staff. Set in magnificent gardens, the hotel offers a wide range of accommodation: 180 standard and superior guest rooms, 38 duplex suites available for families with private terrace overlooking the gardens, 4 two-bedroom villas, and exceptional royal villas. All the rooms, suites and villas are spacious and equipped with superb modern facilities, each with their own balcony or terrace and stunning garden or Nile views. In the beautiful tranquil grounds, you will find a huge infinity pool, small waterfall pool, fitness centre, tennis court, spa and a Turkish bath, making this resort the ideal place to relax. There is a range of delicious cuisine to sample in restaurants and bars presenting plenty of dining options. The 360-degree panorama with dream views of the Nile is exploited from every corner of the stylish Panorama Bar. The hotel has a complimentary shuttle service between Aswan and the Island. On Elephantine Island. 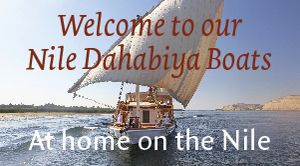 15 km from Aswan Airport and then a 5-minute boat trip across the Nile from the city centre.